Use these subliminal messages to tap into your subconscious mind and think yourself thin! Do you wish you were thinner but just can't seem to lose weight no matter what you do? Do you want to use the power of visualization to help yourself to lose weight more naturally? Do you wish you could just close your eyes and imagine a thinner healthier version of yourself.. and for it to start to manifest in reality? That may sound like something out of a sci-fi movie to you but it's not far fetched at all. Think about it, how many times have you imagined yourself doing something, or being something? When you decided to go into a specific career didn't you imagine yourself doing the job you wanted to do first? Well our subliminal message album works pretty much the same way. The messages will repeat themselves numerous times giving you suggestions to help you visualize yourself looking thin and healthy.They provide the spark in your minds eye to truly see yourself as thin and believe 100% that it can happen! Everything we achieve first starts in the mind, and this will help you to create a powerful visualization of being thin and healthy and help you to literally think yourself thin! As you listen to the album you will receive subliminal suggestions which will make you visualise yourself as slim, fit, and healthy. This album acts as a base to implant this in your mind and to give you extra drive and motivation to achieve your weight loss goals. The more you listen to this think yourself thin subliminal the sooner you'll find yourself visualizing a slimmer healthier version of yourself, and you will actually start to lose the weight too! This works in a simple way really; to help you think yourself thin - by visualizing your future slim self, and focusing on this goal. If you really focus, and you can really see yourself as slim, see yourself as you would be if you lost those excess pounds, then it really is possible. The more you hold this image in your mind the better your chance of success. Author Napoleon Hill summed it up best in his book Think and Grow Rich. If you’re still not convinced on the power of visualization you’ll get from this subliminal album, then try this. Stop right now and DO NOT visualize a giant hamburger sitting on a white picket fence! 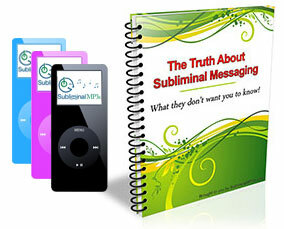 Download this subliminal album and get ready to visualize and think your way to a new slim, healthy body!